I recently Skyped with Jodi and we had an instant connection. I was fascinated hearing about her transformation from social worker to expat life coach, and about her experiences living around the world. I’m thrilled to introduce her to you today! 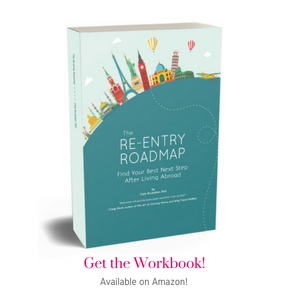 What I love about Jodi’s story is that while in re-entry, she identified her Global Life Ingredients – the top things she most wanted to have in her global life – and built a career around those ingredients. Jodi describes herself as a mother, wife, world traveler, coach and writer. She has lived in Spain, Northern Ireland, the Dominican Republic, Madagascar and Japan. She is the owner of World Tree Coaching – Life Coaching for Expats and works with expat clients all over the world. You can find her on Facebook and Twitter. 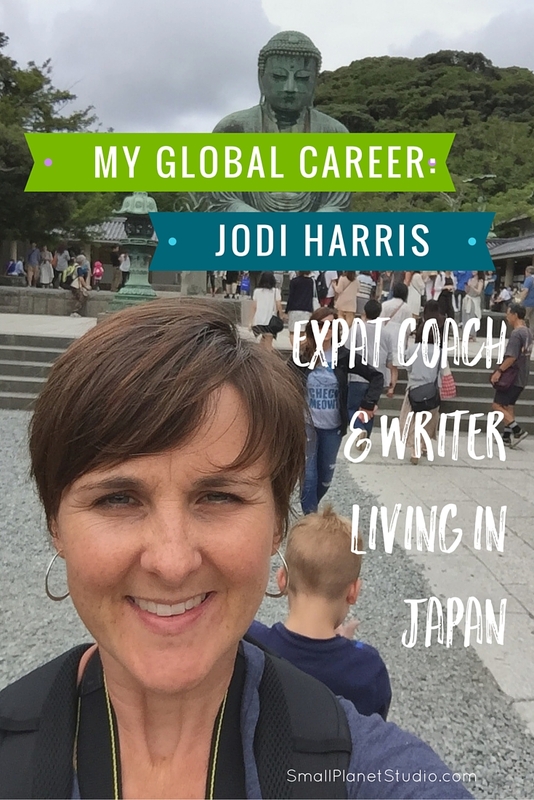 Today, Jodi is sharing what it’s like to be a expat coach and writer in this installment of the My Global Career series. Let’s get started! 1. Hi Jodi! Tell us about what you do professionally. I am a life coach and writer. I have had my business (World Tree Coaching – Life Coaching for Expats) since October 2013. I am also a Licensed Clinical Social Worker (in Texas, where my license is currently on inactive status since I am overseas most of the time). I have been providing support services, primarily to individuals facing challenges related to cross-cultural adaption, since starting my Masters in Social Work in 2002. 2. Tell us a little more about what it’s like to be coach and writer. What are some of your responsibilities and projects? This is one of the things I love most about running my own business – I am able to have a flexible and adaptable schedule that I can take with me wherever I go. My time is divided between writing and administration and marketing for my business (usually about 3-4 hours per week), coaching sessions with clients (I usually have between 5-10 clients) and networking and outreach opportunities (usually a few hours per month). All told, I work 10-15 hours per week. In the long term, I would like to grow the business and increase the number of clients I am seeing. I would also like to do provide webinars to my clients and more presentations/seminars to groups working with expats. 3. What do you like about your current position? What are some of the challenges? There are so many things I love about my work! First and foremost – I love providing space for people to share their stories, their challenges and their dreams. Everyday I get to be reminded of how amazing my clients are and I find the work to be both inspiring and rewarding. I also love that my work provides me with a high degree of flexibility. Living and working abroad is a passion for both my husband and me and has become a lifestyle choice for our family, so it is important for me that my work fit into that mindset. When we are transitioning between countries, I am able to reduce my hours easily and without pressure to be everywhere at once. I also love that I don’t have to sacrifice time with my friends and family or opportunities to explore and travel, simply because I have work to do. My work is very well integrated into all aspects of my life. I also love that I get to write – something that I found was difficult to do when I was working full-time in the US as a Clinical Social Worker. With World Tree Coaching – I am able to bring my love of writing into my work. The biggest challenge is that I move every few years. Even though my business is mobile and I am able to network with people all over the world through social media, I still have to build a reputation each time I join a new community. This can feel like starting over every time I move. Another challenge is that when I take time off to move, to get my family set up in a new home and to enroll my children in a new school that is income lost. It requires a lot of planning ahead throughout the year so that I don’t have extended periods of time where I have no income. 4. How did you get to your current position? 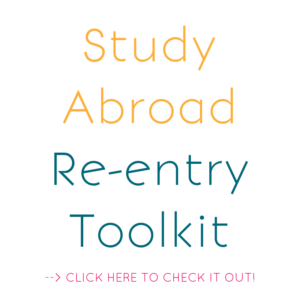 I always knew that I wanted to live and work abroad, so my educational and career outlook was always through the lens of international opportunity. After completing my undergraduate studies (during which I studied in Spain) I taught English in Japan for a year. I enjoyed the adventure, but was not sure teaching was for me. I returned to the US to teach at a public high school and confirmed that teaching wasn’t the direction in which I wanted to go. It did, however, enable me to narrow down my interests. I decided I wanted a career that gave me, not only international opportunities, but something that contributed to the greater good, provided the chance to work one-on-one with people in need and ensured career fluidity and flexibility (i.e. would reduce the chances that I was trapped in the same job forever). With those criteria in mind, I decided to pursue a Masters in Social Work. During graduate school I worked with young immigrants from Latin America and did my final field work in Belfast, Northern Ireland at a community support center. I then returned to Austin (my hometown) where I worked in a community health center providing counseling services. About 80% of my clients were Spanish-speaking immigrants. This enabled me to further develop my Spanish language skills and to improve my cultural competency and understanding of topics related to migration, immigration and transition. In 2009, my husband was offered a job with the US Department of State as a Foreign Service Officer. During our first tour abroad, in the Dominican Republic, I worked as a Program Coordinator for Peace Corps where I provided training, program development and support for social worker Peace Corps Volunteers. In many ways, this was my dream job and the position gave me a taste for working in a large organizational setting while also supporting people one-on-one, but I realized that I wanted to get back to sitting across from people in much the way I did as a clinical social worker. After leaving the Dominican Republic, I decided to take some time to reflect on where I wanted to move professionally. I spent time consulting with colleagues, friends and family and also researching ways to make my interests into a portable career. 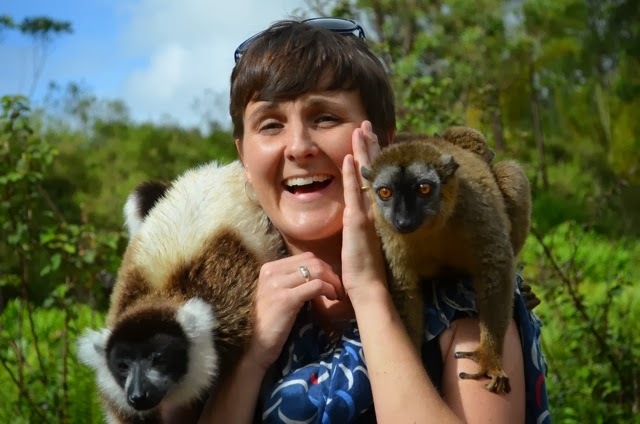 Two years after leaving my position with Peace Corps and while living in Madagascar, I founded World Tree Coaching. I underwent 9 months of coaching training remotely, developed my website, began seeing clients, started writing and made plans for promoting the business. 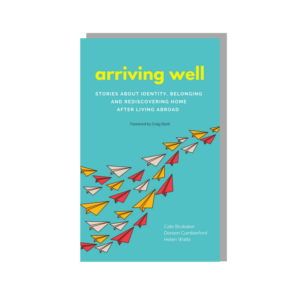 I also began to write down some of the resources I had used through my years as a teacher and LCSW into what is now my book – The Expat Activity Book. I have now been able to take World Tree Coaching from Madagascar, through brief stints in Austin and Washington, DC and now to Japan. 5. Last question! What tips do you have for others who are interested in doing similar work? For coaching specifically – undertake an accredited and well-respected coach-training course at a minimum. A background in counseling, social work, nursing, education or other helping professions is a huge asset and can enhance your coach training significantly. However, it is also important to do your own, personal work. Spend time in reflection, consult with others and work with your own coach. Coaching is a very rewarding career that comes from a place of love, growth and curiosity. So, before you set out to pursue a career in coaching, ask yourself a lot of questions about what matters most to you. Journal, talk with friends and family, spend time observing what makes you feel the most excited, consider what level of commitment you’re willing to make. Coaching also requires spending lots of time listening. It’s a lot like learning to accept and understand other cultures (which is great for people who enjoy living and traveling abroad). To that end, be prepared to learn a lot from what you see, hear and experience. Be open and curious about everything. This is an everyday skill that has the greatest influence on work as a coach. Interview other coaches and mental health professionals. Thanks for sharing your global career story with us, Jodi!